there are eight Fish Window Cleaning locations ready to serve you! Contact us for a free on-site estimate! 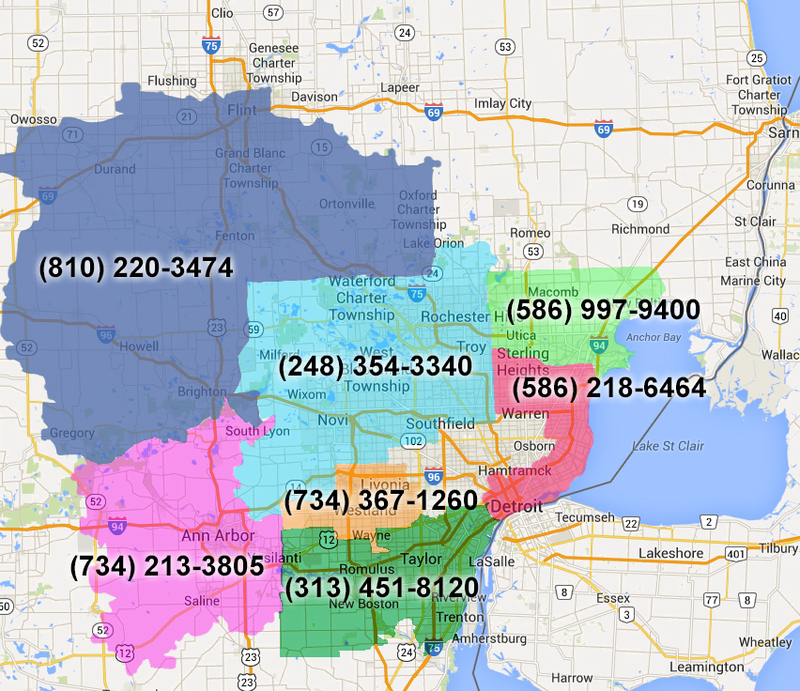 If your home or business is not within these highlighted territories, please call (248) 354-3340. "Simply stated, we treat our customers and our employees like family. That's our difference. You want timely, reliable service from someone who really cares about your satisfaction and who has pride in their work. With Fish Window Cleaning, that's precisely what you'll get." We know that you're busy and there probably aren't enough hours in the day to get all of the cleaning done. That's why we offer a wide variety of services to help keep your home looking its best. You can trust us to take care of your residence as we clean too! We wear clean shoe covers and use cloth pads under your windows to protect your floors. We even use environmentally-friendly cleaning products so you and your family don't have to deal with harsh fumes. When you choose us, we are committed to your satisfaction! "We are genuinely pleased to offer the most professional and consistent service in the industry to our clients. Our cleaners have the pride of ownership, and that pride reflects in our work. Every time. Day in and day out." Fish Window Cleaning has been in business since 1978 so as an established, professional business, we understand that you have more important things to focus on than the smudges and fingerprints on your windows. Let us take care of your storefront, office building, restaurant, or any other commercial building up to 3 stories. We can help maintain the appearance of your business with our customizable service programs. Regardless of your budget, schedule, or specific needs, we can put a tailored program together for you. "Our high standards have made us the clear choice nationwide. 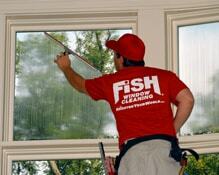 Contact your local Fish Window Cleaning team today for a free and prompt on-site service estimate."